We provide the residential services that your home needs. Your home was likely your biggest investment, you should treat it that way. We often forget about our home but there are little things like roof cleaning, gutter cleaning or re-caulking that protect your home and pocket book. Choice Painting provides high quality and affordable services that you can trust. More than just throwing a coat of paint on your home. We start with a thorough inspection of your home and find any week spots in the wood and note areas that need replacing. We start with thoroughly powerwashing, sanding, scraping and priming where needed then we apply your finish coat according to manufacture specifications. Our process is proven and it is done the same way every time. Our first goal is to remove noticible imperfections from the walls including nail holes and re-caulking your trim and crown molding to give that quality finished look. We will apply primer as needed and then coat the walls with your color choice providing you with the look you desire. Choice Painting does more than just throwing paint on the exterior of your home. We just do more including making your garage a working and functional place of your home. We start with those ugly concrete floors, over time they dry, crack, chip and stain making them look like a mess. We also have unique ways to maximize the space. 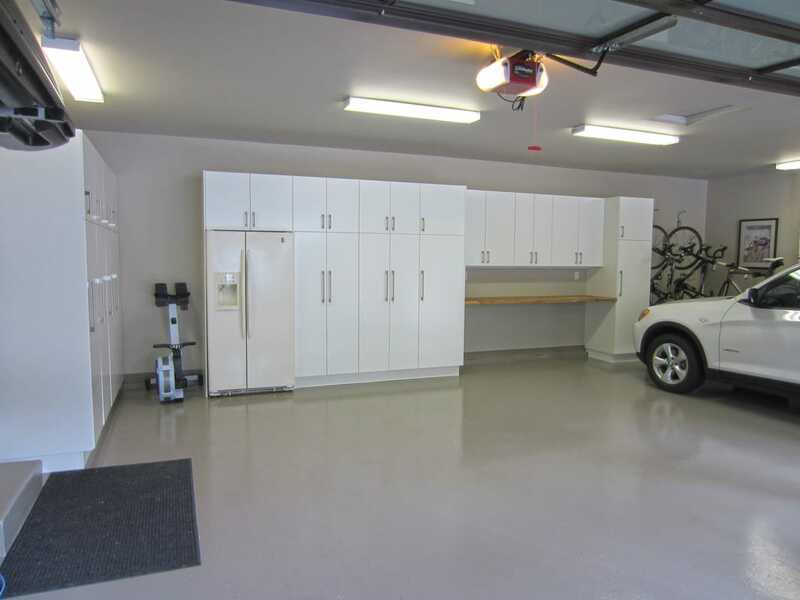 You have a lot of space in your garage, make it look good and make it useable. We use high quality, industrial strength coating from Sherwin-Williams so you know your getting the best product available. Choice Select Painters are professionals and do the job the same way, the right way every time. All of our painters use the same steps and process so you can be confident that your not just hiring someone who can paint, you are hiring a company of professionals.